As it turns out, you don’t have to be a political wonk to have a policy discussion. And that’s the way it should be. Because here’s the reality: When you ask your co-worker whether your company offers paid sick leave, you’re having a policy discussion. When you ask your boss why you don’t earn the same salary for the same work as the men in the office, you’re having a policy discussion. When you try to put money away for retirement, pay off your student loans each month, deposit your paycheck or drop your kids off at day care, those everyday actions are shaped by the policies on the books at your workplace. Right now there’s a broad conversation about workplace policies that’s happening in cities, businesses, communities and around kitchen tables across the country, and it’s one that has the potential to fundamentally change the way middle-class families work and live — for the better. This week, President Obama is having face-to-face conversations with working moms and dads to hear directly from them on the issues that matter most to their families. Today the president will be traveling to Charlotte, North Carolina, to talk with working moms about the plan he laid out in his proposed budget to help folks trying to support their families. And he’ll be taking questions from the BlogHer and SheKnows online communities. Ask questions on social media before, during and after the meeting using the hashtag #ObamaTownHall. Visit BlogHer.com and SheKnows.com, and submit your questions and stories in the comment sections of relevant articles and blog posts. 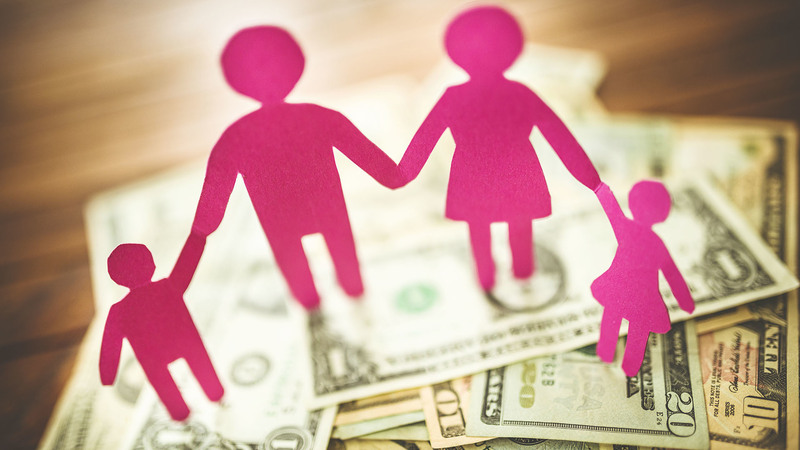 60 percent of children are in households where all parents work — including both dual-earner households and single working parents. Nearly half of all parents say they turned down a job because of inadequate work-family balance. Child care costs have increased 72 percent in the last 25 years, after adjusting for inflation. In 3 out of 5 states, child care for an infant costs more than a public university for an 18-year-old. More than half of college and graduate students are now women. Since the mid-1990s, women have accounted for the majority of postsecondary students, meaning they will account for the majority of our skilled labor force in the future. In 2013, women ages 25-34 were more than 20 percent more likely than men to be college graduates. But among second-earners, women are 17 percentage points more likely to eventually leave the workforce compared to men. In fact, the U.S. is falling behind its peers in keeping women in the workforce. In 1990, the United States ranked seventh out of 24 current developed countries reporting prime-age female labor force participation — about 8 percentage points higher than the average of that sample. By 2013, the United States had fallen to 19th out of those same 24 countries. A recent study found that the relative expansion of family leave and part-time work programs in other developed countries versus the United States’ explains nearly one-third of the United States’ relative decline. Children whose mothers received paid maternity leave earn 5 percent higher wages at age 30. Family-friendly practices can also help encourage better bonding between parents and children, which has been shown to lead to better outcomes for children in adulthood. For instance, researchers have shown that children of women who receive paid maternity leave earn 5 percent higher wages at age 30. On average, for every $1 men earn, women still make just 78 cents. That means the average woman will have lost $420,000 over her lifetime because of the earnings gap. Women who reach age 65 are projected to live about 2.5 years longer than 65-year-old men. That means their retirement years could be almost 14 percent longer, putting a premium on retirement saving for women. In part because of the gender pay gap, women continue to be less prepared for retirement than men. 63 percent of the elderly living below the poverty line are women. More women in senior roles makes for better, more innovative companies. Greater representation of women in top management positions is associated with better firm performance on several dimensions, and research also finds that women can help drive innovation and better target female customers and employees. Closing the male-female employment gap could boost U.S. GDP by 9 percent — or more than $1.5 trillion, about $5,000 for every man, woman and child. The best available evidence suggests that encouraging more firms to consider adopting flexible practices can potentially boost productivity, improve morale and benefit the U.S. economy as a whole. There are things our cities, states, businesses and yes, our Congress, can do right now to make sure our workplaces match the realities of today’s working families. The fastest way to see action on these issues is to help show exactly how many people they affect. That’s why your voice is essential to this conversation. Written by Valerie B. Jarrett, a senior adviser to President Barack Obama. She is also the Chair of the White House Council on Women and Girls, and she oversees the Offices of Intergovernmental Affairs; Public Engagement; and Olympic, Paralympic, and Youth Sport. Follow Valerie on Twitter @VJ44.